Do you find yourself wanting to earn a marketing degree, but don’t have any idea of how to go about it? Are you having difficulty going to a local or out-of-state university due to time, financial, or travel constraints? The answer to these problems may be using free online marketing courses. Certificates and other certifications can be obtained after taking these less expensive course options. Not all of them are free, but many courses can be, and you can even earn free certificates for some of them. You can take courses online and earn certifications such as a Master’s degree much more conveniently. These academic programs are provided by websites called MOOCs (massive open online courses). Many universities offer an online alternative to earn degrees. You may also earn course credits from some universities online, and then finish your degree at the campus. Taking courses online is a much cheaper option than doing so on campus. Taking marketing courses online is a great way to earn the necessary certification(s) for your chosen career field. Obtaining this documentation may make you a more desirable employee for current or potential businesses. Marketing is part of the business management process. It focuses mainly on customer satisfaction, whether the product or service is a necessity or a luxury. Marketing enables a business to produce relevant goods that satisfy as many of the consumers’ needs and/or wants as possible. It coordinates the steps of production: from the process of development to promotion, in order to persuade consumers to purchase specific products or services. These steps are often referred to as the 4P’s of Marketing (product, price, place or distribution, and promotion) or the Marketing Mix. Since marketing has so many facets, then it is only natural that there are numerous careers within each phase of the process. 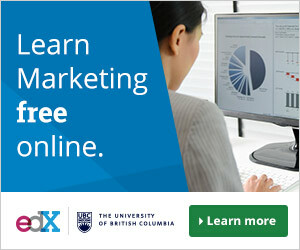 Two of the most popular websites where you can get free online marketing courses, certificates, and other certifications are Coursera and edX. Working with many universities, these websites offer courses as well as programs with certifications. Courses: includes recorded assignments, video lectures, and community discussion forums and you can receive an electronic Course Certificate for a small fee. Specialization: Master a specific career skill with a series of courses and hands-on projects. You will earn a Specialization Certificate. Professional Certificate: Training programs that help you acquire the skills needed for your chosen profession. Some of these programs offer exam preparation for specific certification or licensing. Master Track™ Certificate: Real-world projects and live instruction. MasterTrack™ Certificate counts towards your full degree at the specific college the program is from. Degree: You will receive the same credentials as students who attend classes on campus. These degrees cost much less than on-campus programs. XSeries program: Offer comprehensive instruction in a specific course of study. Receive a certificate of achievement. Global Freshman Academy: Provided by Arizona State University; this program lets you earn credits that can be transferred to ASU or any accepting university. Master’s Degree: At the moment edX only offers one Master’s Degree, but is in the process of implementing more. The Master of Science in Analytics is offered by Georgia Tech University. Professional Certificate: Training programs that help you acquire the skills needed for your chosen profession. MicroMasters programs: Graduate level courses which provide you with specialized skills. After completion, you can earn an accelerated and the less expensive degree by applying to a university that accepts your MicroMasters certificate for credit. Earning certifications will increase your career opportunities. Most positions in the marketing career field require degrees in order to qualify for them. Others will accept a lower level of education with professional certificates or certificates of completion. You can find information on salary, education, training, and the outlook for many of the marketing careers on this website: U.S. Bureau of Labor Statistics, Occupational Outlook Handbook. There are numerous certifications available for careers in marketing. Determining what type of documentation your job requires is the first step you must take. Each phase of marketing has multiple job titles, so this article will only list a few. Let us go back to the Marketing Mix, and see the job opportunities for the different phases of the process. Market Research Director: develops the data analytics plan, market research plan, and market forecasts. Director of Marketing: plans, and directs marketing strategies. Senior Manager of Distribution: plans, organizes, and directs all distribution activities. Manager of Supply & Demand Planning: inventory control, demand planning, and customer service. Getting free online marketing courses, certificates, and other certifications is a valuable alternative to attending classes on most university campuses. If you are unable to, or you don’t wish to attend a university on campus, then this option is right for you. Why pay more for your classes and certifications? Why should you have to learn on campus when you can be at home, or even on the go? 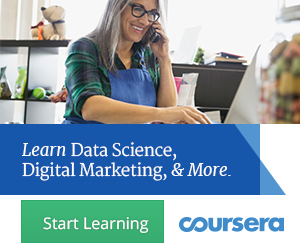 It’s time to decide if using online course programs like the ones on https://www.coursera.org/ and https://www.edx.org/ is the right choice for you. Take your education into your own hands and get your marketing credentials online now.